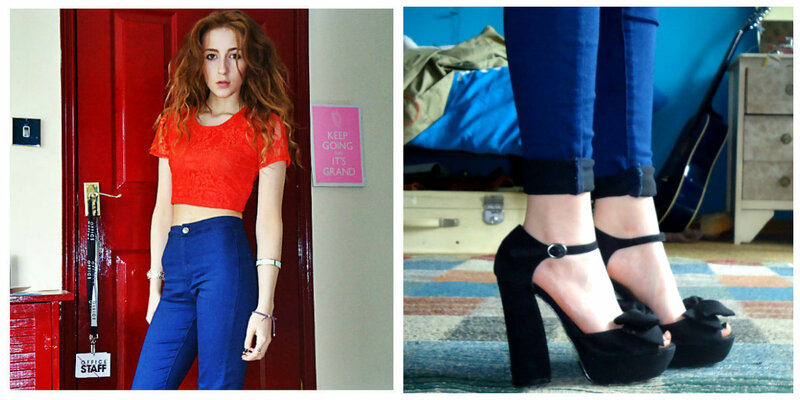 I recently bought the topshop "Joni" jeans and im actually in love with them. I don't think i'll ever take them off. So here's how I've been styling them! I got this top for something crazy like £3 in primark last year. I love Aztec print so I grabbed it straight away. Its really quite short though so I don't get to wear it as much as i'd like. Maybe when the sun comes out eh? exactly like this one for £15/£20 but I got mine for a fiver! There are so many primark items in this post. I really love this top. I got in the men's section of h&m and cut it up. And how cute are these shoes? I got them in primark during my trip Glasgow cause i was wearing heeled ankle boots that were killing me. I love these maryjane heels,ive worn them once. Such a waste cause they so nice. This is something i'd wear to work. 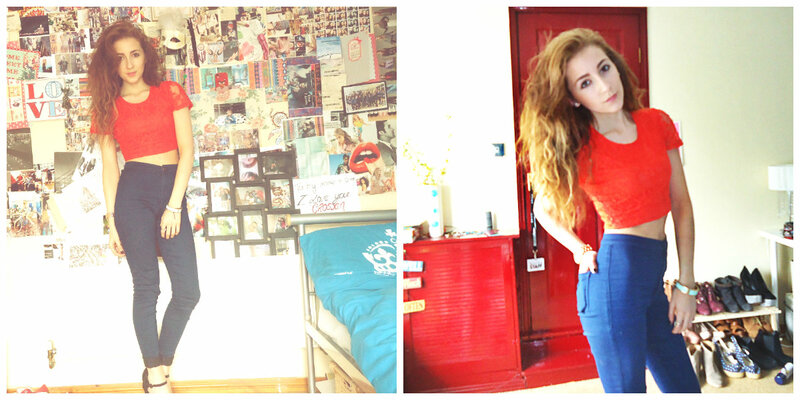 I got this strapless top in newlook for £6,its perfect for summer and it looks really cute with high waisted shorts. Ive needed a new bag for so so long. I wanted to find the perfect one so i searched online for ages,after still being undecided i ended up getting this cream and navy one until i find the one of my dreams. These boots are called untouchable,you can check em out here. Thanks for reading,Cant wait for summer!